You have capital and you want to start a business, but the problem is, your entrepreneurial knowledge is not enough to run a business. The best option for you is to buy a franchise. You don't necessarily need business experience to run a franchise. Franchisors usually provide the training you need to operate their business model. You may find it easier to secure finance for a franchise. It may cost less to buy a franchise than starting your own business of the same type. 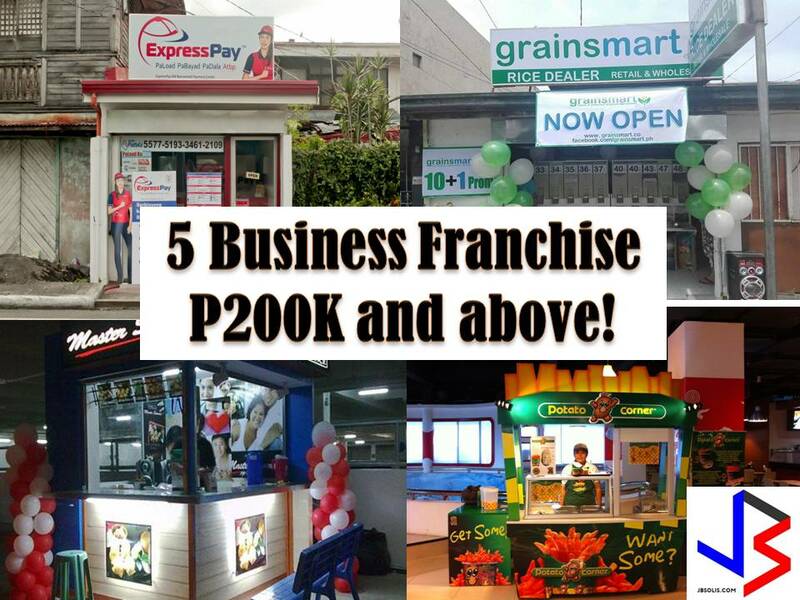 ExpressPay franchise business a 6 in 1 package that is ready to operate, fully set-up franchise business in the Philippines. This includes Bayad Bills Payment Center, Money Remittance local and international, Eload - Prepaid Load, Travel and Tours, Courier Services and other online based services. Dubbed as the "Best Flavored Fried" in the country. 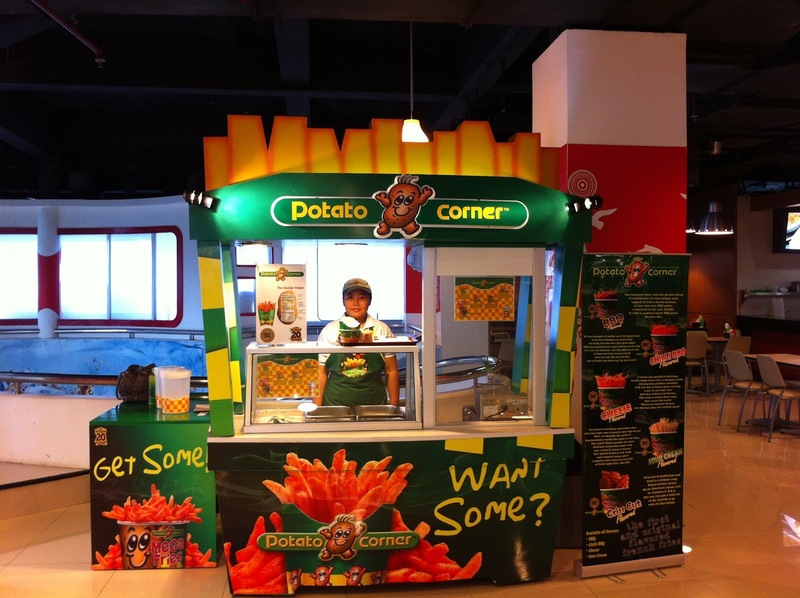 Or visit Potato Corner official website. This bread store or bakeshop is now open for franchise. 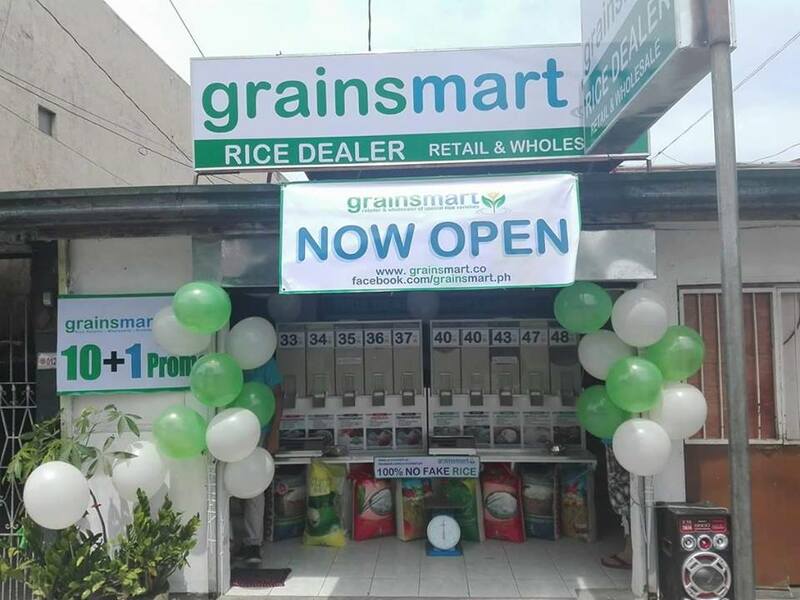 They are offering different kinds of bread every Filipino loves such as pandesal de keso, pan de kape, pandesal with corned beef, pandesal malunggay, pan de hotdog, pan de espanya, pan de coco, pan de gulat and many more. 1. Look for your own location. 2. 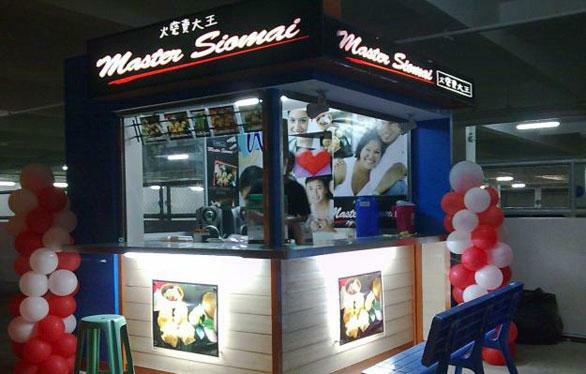 Call Master Siomai office for the schedule of site evaluation: (02)-281-3635 | 0923-441-9957 | 09234419958. 4. Owner will attend Business Operation meetings. 5. Selected crews will attend orientation and training. 6. The signing of Franchise Agreement. 7. Full Payment upon delivery of the food cart.